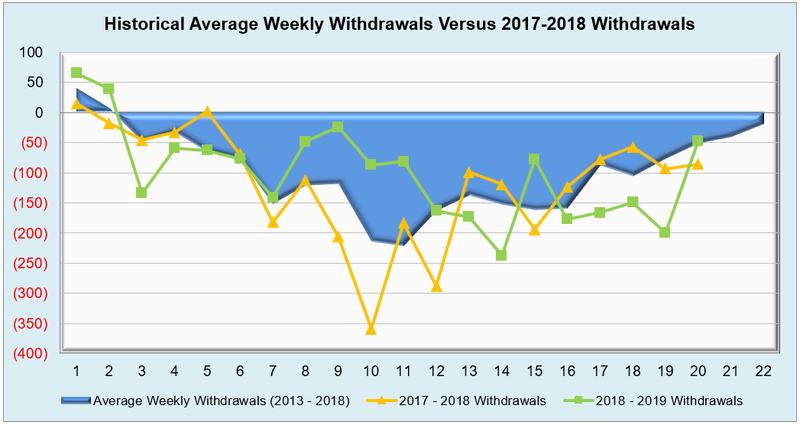 Despite the 4 Bcf revision implemented into the working gas inventories that shifted last week’s value from 204 to 200 Bcf, the current withdrawal of 47 Bcf fell in line with market expectations while coming up short against last year’s 87 Bcf pull and the five-year average of 56 Bcf. 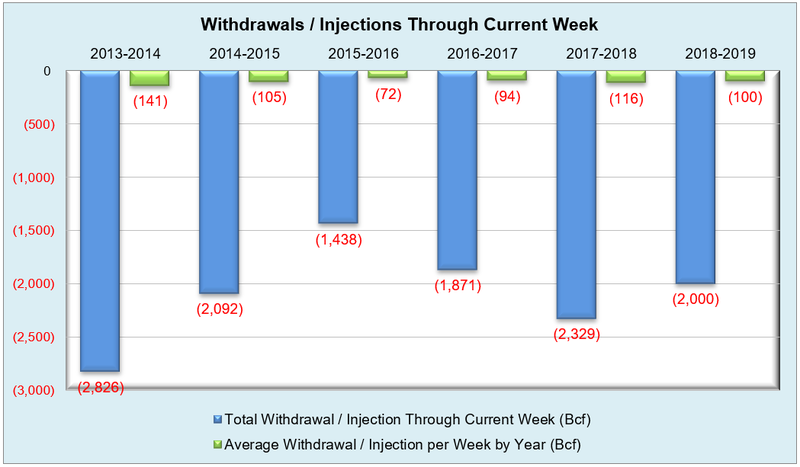 All things considered, this draw is essentially a non-event due to the eventual approach of injection season, bifurcating weather patterns that showed a warmer than normal eastern half of the Lower 48 along with a cooler West and Plains, and the unplanned recent drop in LNG deliveries at the Sabine Pass terminal in the Gulf of Mexico. In fundamental news, a potential nor’easter is projected to form across parts of NYISO and ISO-NE, bring with it wintery mix, rain and even some snow. 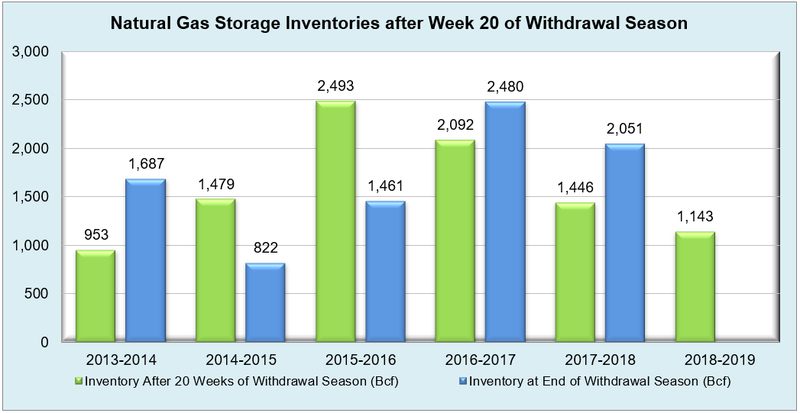 Its effects may not be particularly devastating, but one final uptick in storage withdrawals in the East region could result from this. 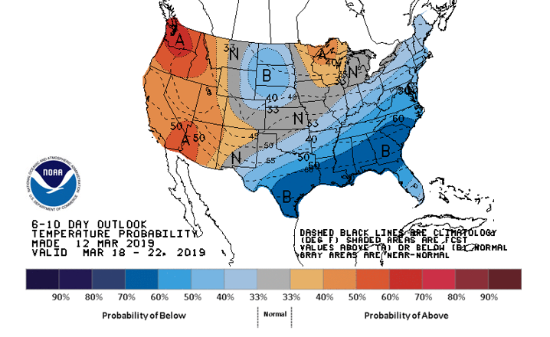 Barring any sort of unforeseen extreme weather event, end of season storage levels are more and more likely to stay above 1 Tcf as we head into injection season, which could provide some relief for the prompt month futures after a notably volatile winter that realized a large amount of ten cent (and sometime more) swings in both directions. 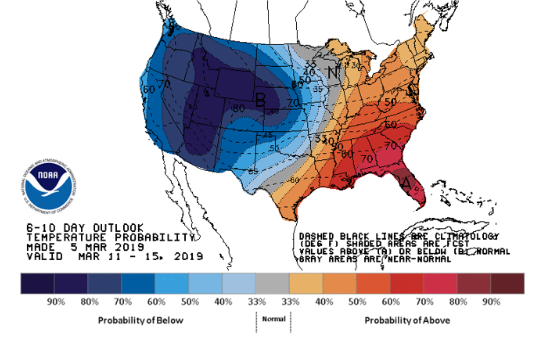 Summer is around the corner, so we’ll see what cooling demand is made of soon enough. 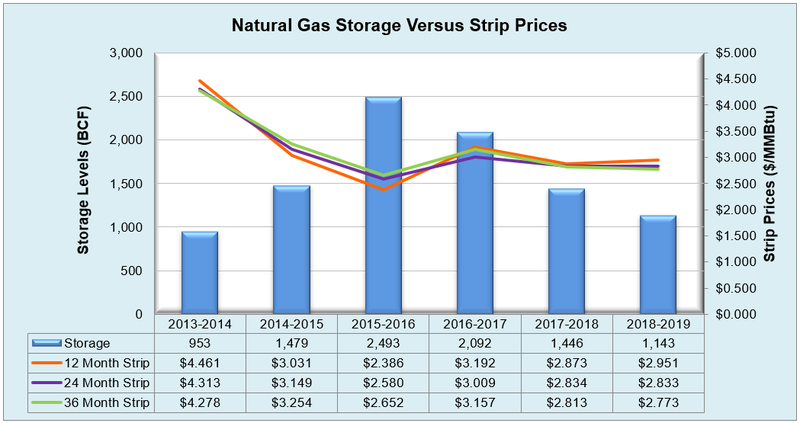 Working natural gas in storage currently stands at 1,143 Bcf, which is 315 Bcf (21.6%) lower than this time last year and 556 Bcf (32.7%) lower than the five-year average. The April 2019 NYMEX Futures price began the day around $2.81/MMBtu prior to the report’s release and stayed relatively flat after the report was posted.